This is a great non-fiction text to pair with Margaret Peterson Haddix's novel Uprising or any study of workers' rights, the rise of the unions, women's suffrage, and the Triangle Shirtwaist Factory Fire. 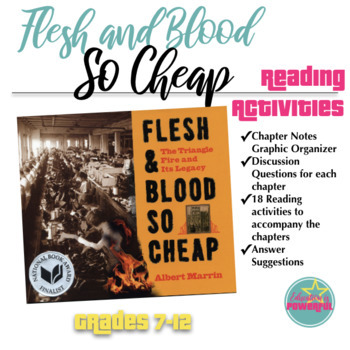 You will need your own copy of the book Flesh and Blood So Cheap by Albert Marrin. This is a companion set of activities for the book. 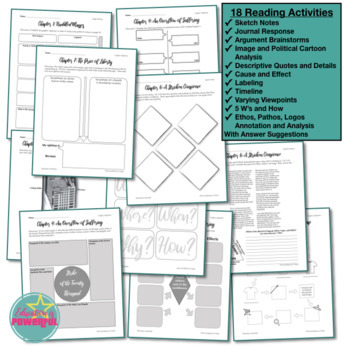 Each chapter has several options of reading activities you can do with your students. You can do them all, assign different tasks to different groups, or pick and choose what you want. I’ve included answer suggestions, but many of the graphic organizers could have many different answers; therefore, I have done answer examples/suggestions. 26 pages of reading activities 54 pages total with answer keys and instructions. You might also like my Uprising Unit by Margaret Peterson Haddix. This is a great companion for the novel.